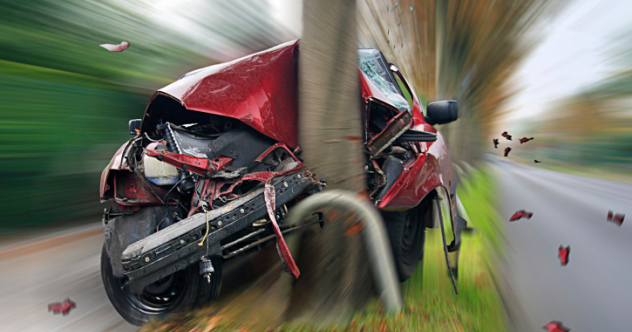 Car accidents are quite common, and California is no stranger to them. If you happen to find yourself in a car accident, there are certain rules that you have to obey and certain mistakes you should avoid at all cost. Did you know that 80% of all Californians have been involved or witnessed a car accident by the age of 30? Here are the most common mistakes you should avoid if you ever find yourself involved in a car accident. People think that by leaving the scene after the accident, they will remain hidden from the public eyes and potentially from the police. No! No matter what, stay at the scene and wait for the police to write a report. Yes, if you are responsible, you will end up paying a fine, but if you flee the scene, a simple car accident will turn into a criminal activity where the “main suspect” has fleed the scene. This will get you into bigger problems, ones that will most likely end up with serious prison or jail time. Even when it is too evident, admitting guilt can cause you more problems than you can handle. For starters, you will lose the ability to recover any financial compensation. Keep your opinion to yourself. Speak only with your attorney, and listen to his legal advice. If you don’t have an attorney, consider speaking with our Los Angeles Personal Injury Attorneys. They will provide you with much-needed counsel and guidance. Remember not to keep any secrets from them, and to be 100 percent honest. They will tell you what you should do next and help you protect your best interests. Another common mistake is ignoring the doctor. This is opposite to reason, and if you value your life, you will do what your doctor ordered. It is best for your health and your recovery process, and if you miss a treatment or stop taking the pills or antibiotics, you will slow your recovery process and potentially prevent the wound from healing. Another important reason why you should never ignore the doctor’s orders is the settlement. If you stop going to the appointments or stop going to treatments, the insurance company will call you irresponsible and won’t compensate you for it. You will also look irresponsible in the eyes of the judge, and your case will lose its strength. We understand that after an accident, you are in shock and you don’t think clearly. You are focused on your insurance claim and recovering from your injuries. But, keep in mind that forgetting to take the police report may damage your case. Your attorney will need that report to build your case, and without it, complications will arise. Car Accident Attorney Los Angeles advise you to speak with the police officer and ask for a copy of the report for your insurance settlement. Don’t leave the scene without it.